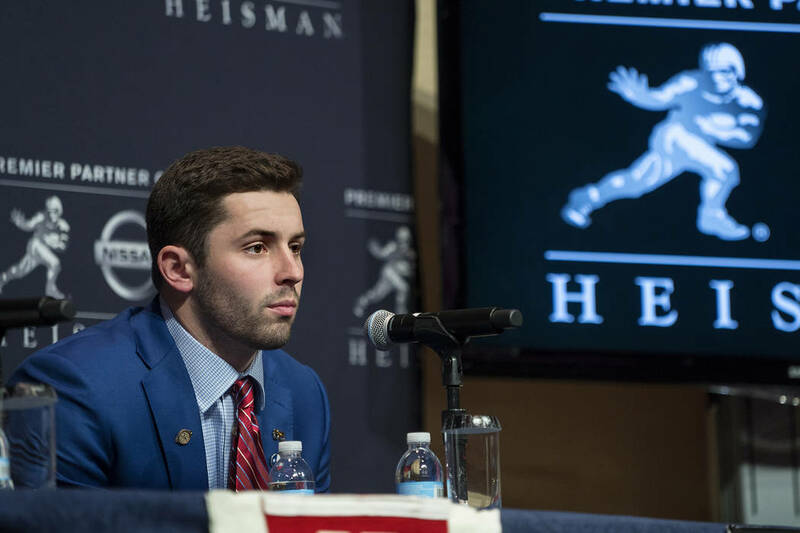 Oklahoma quarterback Baker Mayfield has won the Heisman Trophy, completing a climb from walk-on to one of the most accomplished players in the history of college football. 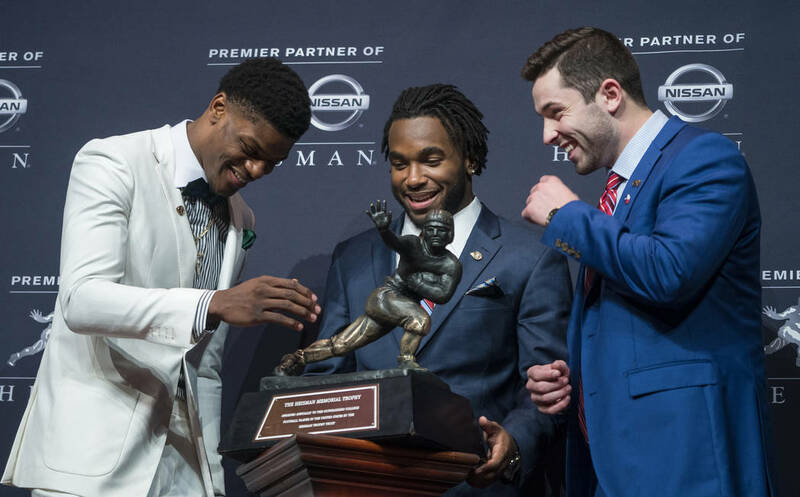 NEW YORK — Oklahoma quarterback Baker Mayfield has won the Heisman Trophy, completing a climb from walk-on to one of the most accomplished players in the history of college football. The brash, flag-planting Sooners star won a lopsided vote to become the sixth Oklahoma player to the win Heisman. Stanford running back Bryce Love was the runner-up, making it five second-place finishes for the Cardinal since 2009. Louisville quarterback Lamar Jackson, last year’s Heisman winner, was third, the best finish by a returning winner since Tim Tebow of Florida in 2008. Mayfield is the third player to win the Heisman heading to the College Football Playoff. The second-ranked Sooners meet No. 3 Georgia in the Rose Bowl on Jan. 1. He is the first senior to win the award since Troy Smith of Ohio State in 2006.